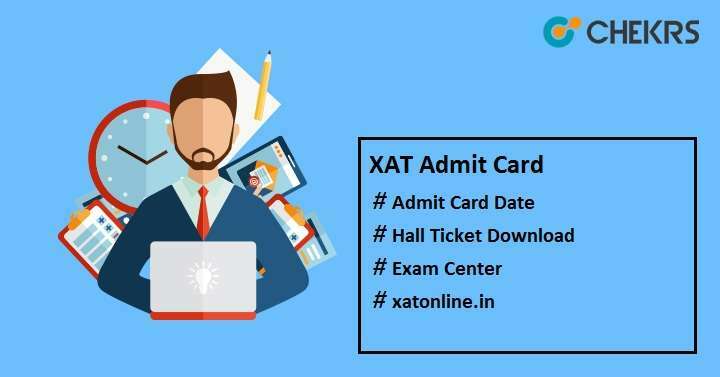 XAT Admit Card 2019: Xavier Aptitude Test (XAT) is an entrance exam regulated by XLRI, Jamshedpur on the behalf of XAMI. On the basis of XAT score, candidates can get admission in more than 150 B-Schools across India. XAT 2019 will be held on 6 January 2019 for all candidates who have applied for the same. Candidates who are going to take this exam can download XAT Hall Ticket after releasing it on the official website. The admit card will contain all details related to exam like exam center, exam date & time and also candidate’s details like candidate’s name, date of birth, roll no, father’s name etc. Here we have mentioned all the information related admit card release date, how to download the hall ticket, important instructions etc. The official authority will issue the XAT Admit Card and it will be available from 20 December, 2018 till the examination date. The admit card is very important document for candidates as it is used for candidate’s verification. Without this, no one can enter to the exam hall. The authority of XLRI has announced the XAT Admit Card Date officially. Candidates can get it after the link generated for admit card on the XAT official website. It will be available through online mode only. Click on the activated link for the hall ticket. It will be redirected to the next page where you can find a link for “XAT 2019 Admit Card”, click over it. Enter your registration number, password & security code and click on “Login” button. The admit card will be shown on your screen. Download it. Take a printout of the downloaded admit card and keep it for safe for further use. Here we have mentioned the important instructions to be followed by all candidates who will appear in the XAT 2019. Candidates must report at the allotted exam center on the reporting time written over XAT Hall Ticket. Must verify the details mentioned over the XAT Exam Admit Card. In case any discrepancies you can contact to the authority immediately. Don’t forget to bring the admit card with valid ID proof as no one will be allowed to enter the examination hall without it. Candidates can get duplicate admit card, in case they lost their admit card. Read all the important instructions written over the admit card before appearing for the XAT 2019 Exam. Do not write anything over the admit card. Above provided detail information are sufficient to download the XAT 2019 Admit Card. We hope that all candidates can easily download their admit card and give the exam. Good Luck!! !